Notebook, presented by Salman Khan, is a story of a man and a woman who fall in love without even knowing or seeing each other and the first song from the film totally expresses that feeling. 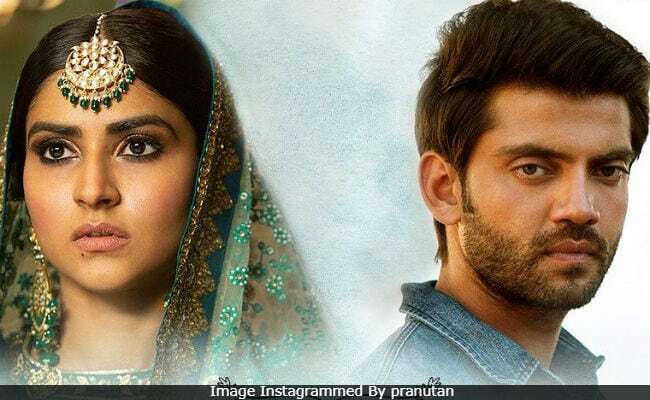 In Notebook song Nai Lagda, the lead stars of the film - Pranutan and Zaheer Iqbal - unknowingly express their love for each other in the picturesque Kashmir. In Notebook, Pranutan plays a school teacher named Firdaus and later chooses marriage over the profession she loves. After Pranutan, Kabir (Zaheer Iqbal) get appointed as the teacher of the school, where he also finds an old notebook of Pranutan and after going through it, he eventually falls in love with her (though he never sees her). Kabir eventually learns that Firdaus is getting married and so, he confesses his feelings to Firdaus on a notebook, which she later finds in the same school. Going by the trailer, it appears that Firdaus returns to the school, but she doesn't find Kabir there. Nai Lagda has been composed by Vishal Mishra and sung by Vishal Mishra and Asees Kaur. While unveiling the song on social media, Salman Khan wrote, "Listen and feel the love." Watch Notebook song Nai Lagda here, starring Pranutan and Zaheer Iqbal. Notebook is Pranutan and Zaheer Iqbal's debut film. Pranutan is actor Mohnish Bahl's daughter and Zaheer is Salman's childhood friend Iqbal's son. Of his film, Zaheer Iqbal earlier told IANS, "It's a romantic love story and it is based in Kashmir. I think it's a happy film. It's a very beautiful, happy and colourful love story" while Pranutan added, "I think it is a very unique love story and I can't wait for the audience to see it." Nai Lagda is the first song from the film to have been released. Notebook is directed by Nitin Kakkar and will be produced under Salman Khan's production house Salman Khan Films.